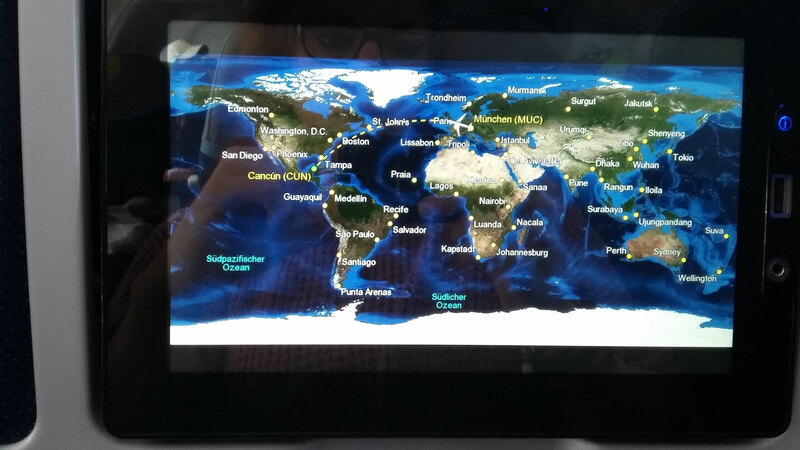 On the 14 of February I took a flight back to Mexico to check out the places for my Travel to Come Closer tour starting on the18th of April 2016. I started in Cancun where I got to know to a funny French guy who was with me in the same airplane. 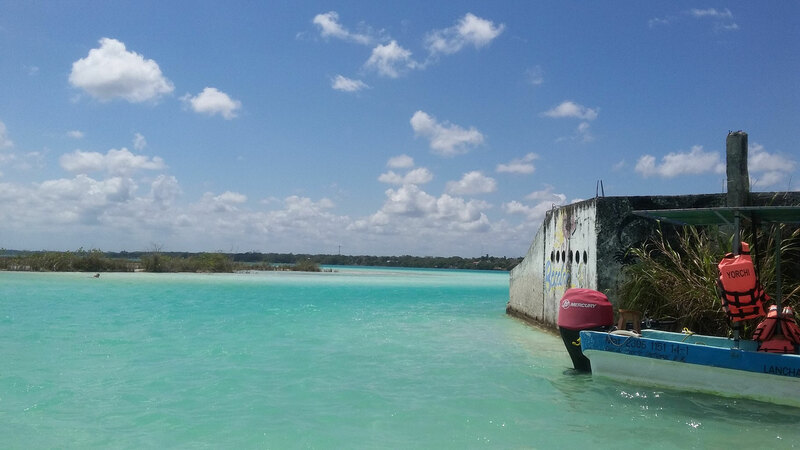 From Cancun I went to Bacalar at the beautiful Laguna de 7 colores where I took a kayak in the morning before sunrise to enjoy it on the plane lake accompanied by the sound of the birds. I was happy when I sat finally in the airplane to Mexico. I was a bit worried before if there could be a problem at the airport. 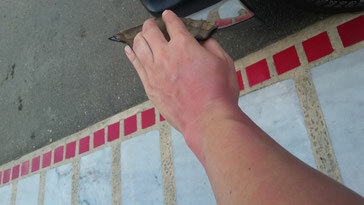 I just found out a couple of days before I would leave that I had to present a confirmed flight back. Otherwise they wouldn’t let me enter the country. I knew I wanted to come back to Europe but I didn’t know when exactly. Well, I saw it as a sign – after I calmed down. Therefore I booked a flight back to Spain in July. Later I found out it was just the Condor’s own rules…. Other airlines aren’t that strict. Anyway. I want to get rid of my fears. Exactly those mentioned once. And I come to open up again, see and feel options and opportunities. Get inspired. The most important thing is that I do it! I don’t have anything to lose and when we do something from our heart and don’t have too many expectations we will be fine. That I have learnt from my Yoga teacher Joy in Nelson BC. And I read again my aim for this year: Play and enjoy life with an open heart and love fearlessly. Funny enough that I had to set an aim for enjoying life but this is what works best for me. I need aims. Well, I’m Sagittarius :-). And I don’t want to regret one day that I didn’t do what I felt I wanted to do. Therefore always go for that what feels right. Listen to your wishes. I have learnt so far that you always get new inspirations if you do something new. Doesn't matter how the new situation is. If you stay in your comfort zone, you cannot grow. Of course I also know it’s not that easy to leave it and expand it. 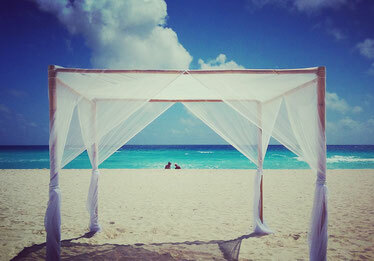 Cancun isn’t the Mexico I fell in love with. 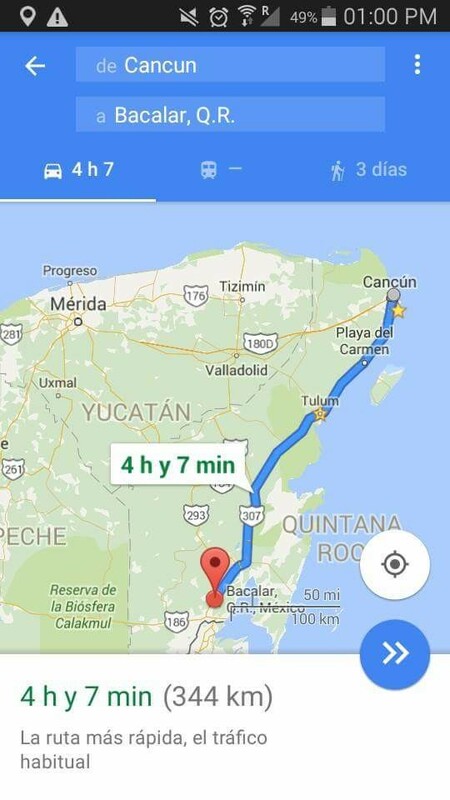 But it’s ok for starting a journey through Mexico. In addition the flights from Europe to Cancun are quite cheap. My tour would start in Cancun as well. Actually we will do the journey I did before backwards. At least a part of it. It was an amazing feeling to speak now in better Spanish! The Mexican accent is actually easier to understand for me than the Spanish one or like my roommate’s Chileno. Well, I love my roommate and his accent as well, but I had sometimes hard times to understand him. I found the bus going to the city center and I found a guy who I've already seen in my airplane. He walked a couple of times up and down the alley and smiled very friendly. I talked to him in German and it turned out he was French but could speak pretty good German (!) but no Spanish. I explained to him how it works with the bus ticket. We sat together in the bus and it turned out he was a sport teacher in France for children. It was always his dream to travel through Central and South America. He had a girlfriend in France. We caught later up for a beer and it was very funny with him. He acts very innocent which is very lovely. He is this kind of person who would always find themselves in very great situations like doing party with a superstar or rock band or sth like that. And he would be very humble with that. You know what I mean? A very sympathetic guy. 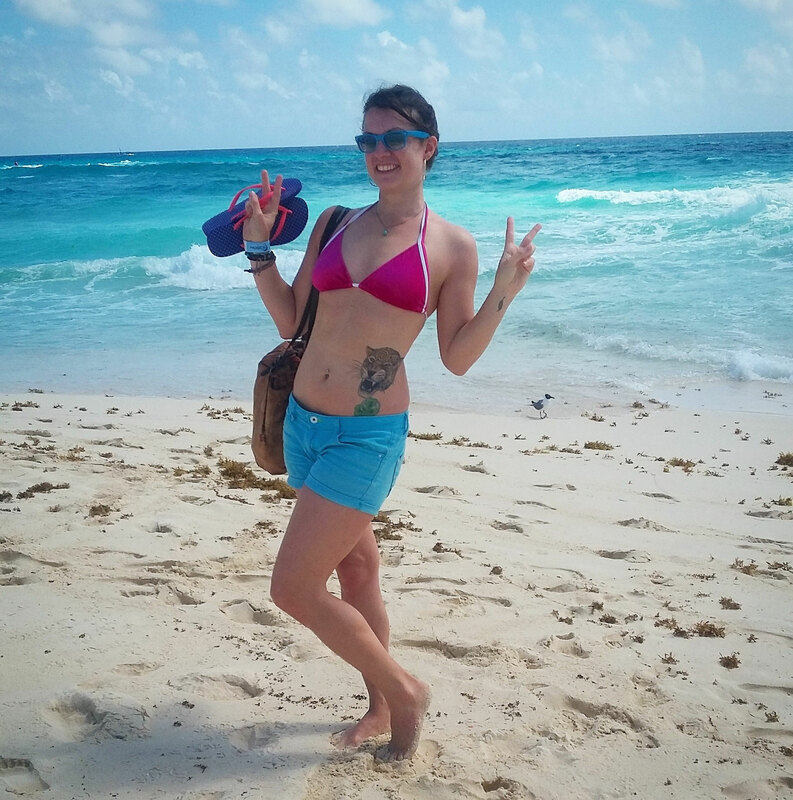 I used my time in Cancun to check out hostels for my group (the one I was in I considered for me was ok, but I found a nicer one for my group) and places to start with Yoga and meditation. Yes! 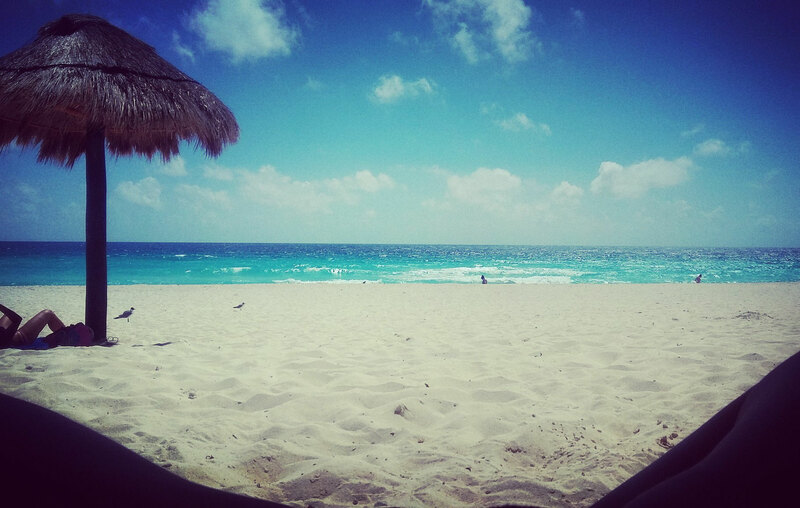 That’s why I’m fallen in love with Mexico! 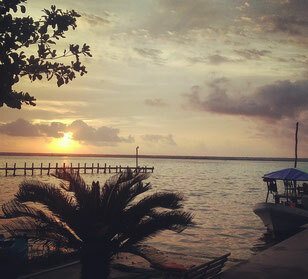 I took on the next morning a bus to Bacalar. My seat partner was a nice Mexican girl in my age. Her name was Carina. She was original from Guadalajara. My brother was right now there to visit his girlfriend. During the chat with Carina I could pick up some new words they use in Mexico. Like ‘orale’ which you can actually use for everything. In Spain I used ‘vale’ or ‘mira!’. Another word is ‘andale!’ what you use if something is really extraordinary. 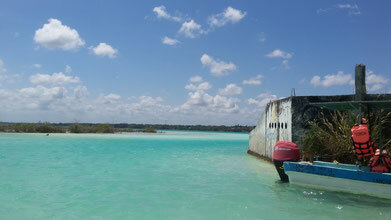 In Bacalar I took a taxi to my hostel Casa Tortuga. My friend Anja who I met last year in Mexico in Puerto Escondido recommended it to me. I had a nice welcome there from a sweet girl from Brazil. During waiting for my room I called my roommate to hear his voice. After I had my room I talked to the staff there and let them know that I was looking for advice for my tour. They connected me with a guy who offered sailing tours on the lake. Well, that sounded like an option. I really liked the atmosphere there in the Casa Tortuga and the people who stayed there were exactly my tribe. For example I met a lovely German girl who stayed for a while there. Not quite voluntarily… She got robbed and was waiting for her credit cards. 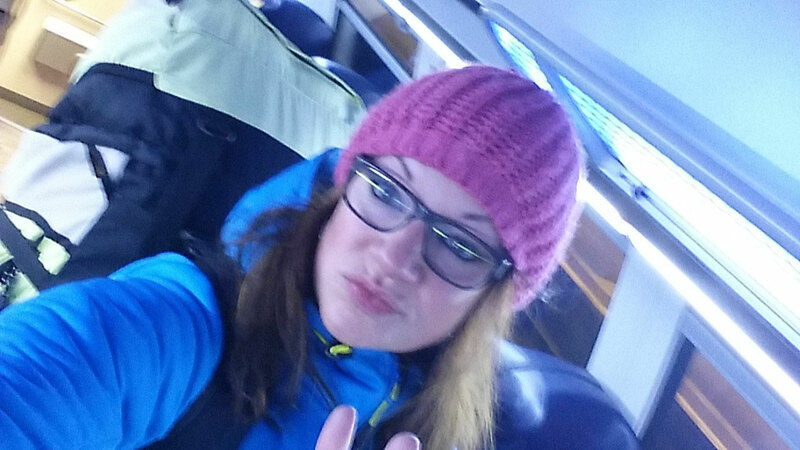 They took her stuff at the bus station when she was looking away. 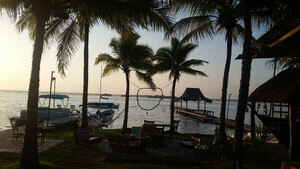 Anyway, Bacalar and this hostel wasn’t the worst place to stay :-). She gave me lots of advice around Bacalar and that there was an App for booking seats in the buses. That’s what I love about travelling! The exchange with people and sharing things. Yes! I was back on the road. And there was also Caro a power lady from Mexico City. She is really a nice woman with a lovely smile. She also gave me some advice. Yes. I felt good there. But even if I liked the hostel a lot I choose for my tour another hostel. The ‘Posada Lulu la bruja’. They had yoga mats to offer and the atmosphere and comfort there fits better for the concept of my tour. 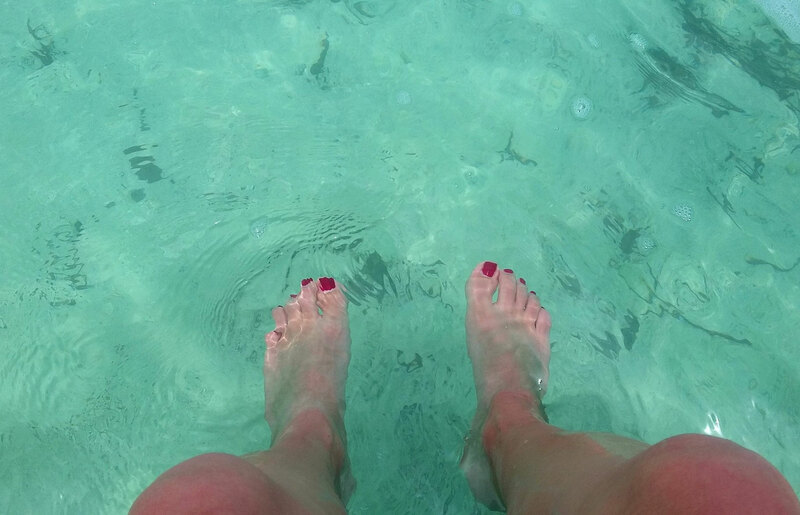 I cannot describe it with words how I felt in Bacalar. All my worries were just gone and I was back in my travel mood. I opened up again and after I did the things for my tour (finding a hostel, checking out places to eat, places for Yoga and meditation…) I enjoyed myself. 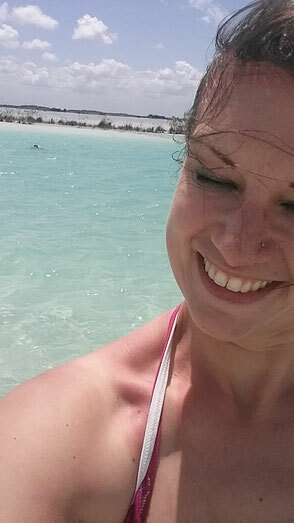 For example I went on a boats tour on the lake with a group of three crazy German girls with whom I shared my dorm. The tour organization was a bit chaotic… The guy charged us less than a German couple who came with us. He said we shouldn’t mention it but we already did... Then the boat we wanted to take didn’t have any petrol. Therefore we had to change in another one. No problem at all. The tour started 30 min later and we were on the beautiful lake. I was a bit scared about my cell phone because it was as well my camera for taking pictures. Next time I won’t take it with me. In the middle of the lake we stopped. Well, the boat stopped due to there was a problem with the engine. Fortunately the couple knew a bit about engines. It turned out one of the pipe for the petrol was cloaked. The boats guy cleaned it ‘professionally’ on the floor of the boat.... We could move on and stopped at a place where we could swim a bit. I felt very free and enjoyed everything a lot. My Russian chica and also the group of crazy German girls recommended to me to take a kayak in the early mornings and paddle out to la Isla de los Pajaros. That was what I did. I set my alarm everyday at 6.15am to have time for my own Yoga practice. Thanks to my jetlag it wasn’t difficult to wake up. So I woke up in the early morning, walked through the still sleeping campsite of the hostel to the lake, took a kayak and paddled where I guessed was the Isla de los Pajaros. The air was very clear and cool but not cold. It smelled like garden and plants. This mixture of fungus and green grass. The lake was complete plane. No waves at all. I felt like being in a movie or like Lara Croft on a mission. At the horizon I could see it was getting brighter and brighter. Apart from the sound of the birds, my paddle movements through the water and the soft knocking of my paddle at my kayak there was no sound at all. Well… For a minute there was the penetrating sound of a drone someone - obviously very lazy - steered over the lake. I was really IN the situation without a drone. It was an amazing feeling. I reached the Isla de los Pajaros (at least I guess it was it due to the sound of the birds). I just stopped close by and waited for the sunrise. I didn’t have my phone with me. I just enjoyed. Priceless. After the sunrise I paddled back. I could still hear the drone somewhere over the lake. Well, I had the better seat ;-). On the same day I took the kayak was also my last day. In the evening I took the bus to Palenque. I wanted to spend my time by checking out the center. Caro asked me if I could print out for her a ticket for a flight. For sure! I printed it out in a shop in the center. In the center I met a guy named Miguel again who I met the day before in a Quesaderilla. He was also a longterm traveler from France. We had a short chat. I saw a shop where they sold ice cream and went in to buy my favorite one: natural coconut ice cream. On a table was sitting a Mexican guy who talked to me. Tall, dark hair. I told him about my tour. It turned out he was also a tour guide but for adventure tours! He also offered sail tours over the lake. What a great option! We talked about that we could maybe do a project together in the future. He said he was on his way to take a swim in the lake and asked if I wanted to come with him. Yes! 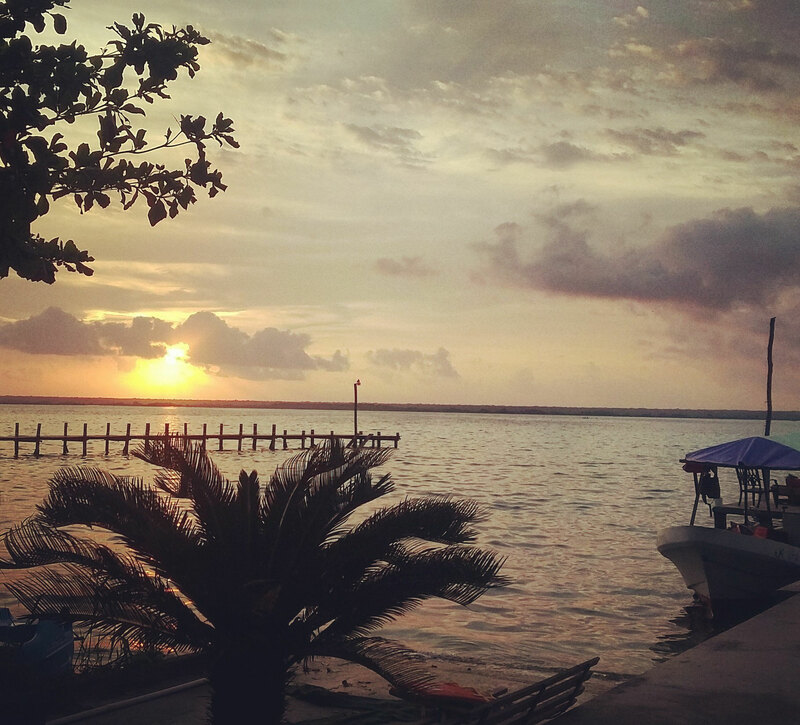 That was a great option to exchange and get to know better to Bacalar. The only thing was that I had no swimsuit with me and I had to leave in a couple of hours. Well… the sun will fix it. I jumped in the lake with all my clothes. The only thing that made me nervous was that in my bag was actually everything because I already checked out: passport, credit cards etc. But nothing happened. I had a great chat with the guy who named Alejandro. It turned out he lived for a while in Sweden where he has a daughter. He was mid-forty and started now with his tours something new in Mexico. It was a good exchange with him. I got some inspiration and maybe there will be a project we could do together. It was already late and my clothes were still wet. And Caro needed her printed ticket. I changed my wet clothes, took a shower and went to the bus station. 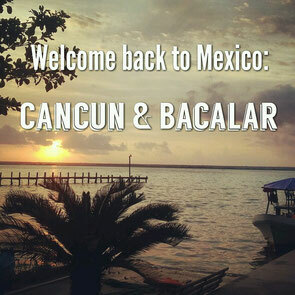 Yes, that was why I felt in love with Mexico and why I need to travel. It opens and calms me. 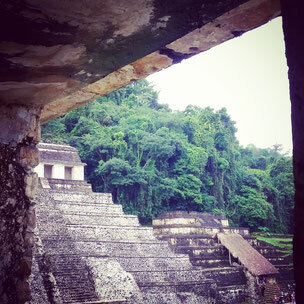 Read next time about my stay in the jungle of Palenque with my neighbors Cheech and Chong. There someone showed me around and I learnt a lot for my tour. And after Palenque I took a bus to San Cristobal de las Casas. There I stayed in the hostel where I volunteered in 2015.Coincidental they had their first anniversary. My Russian chica and I were the first volunteers at the reception when they opened. Thank you for reading my story and for being part of my journey! Lots of love.